Cashmere Winter Scarf Gift Set Just $24.14! Down From $46! You are here: Home / Great Deals / Amazon Deals / Cashmere Winter Scarf Gift Set Just $24.14! Down From $46! Head over to Amazon where you can score this Cashmere Winter Scarf Gift Set for just $24.14 down from $45.99 when you enter promo code B7FNMXRS at checkout! Get FREE shipping with Amazon Prime or for orders over $25! This cashmere scarf provides a soft & comfortable feel that will make you want to wear it everywhere. Drape over your neck for a relaxed laid back feel or wrap around for a snug and cozy fit. Unique and contrasting colors add that edgy eye-catching appearance you’ve been looking for. 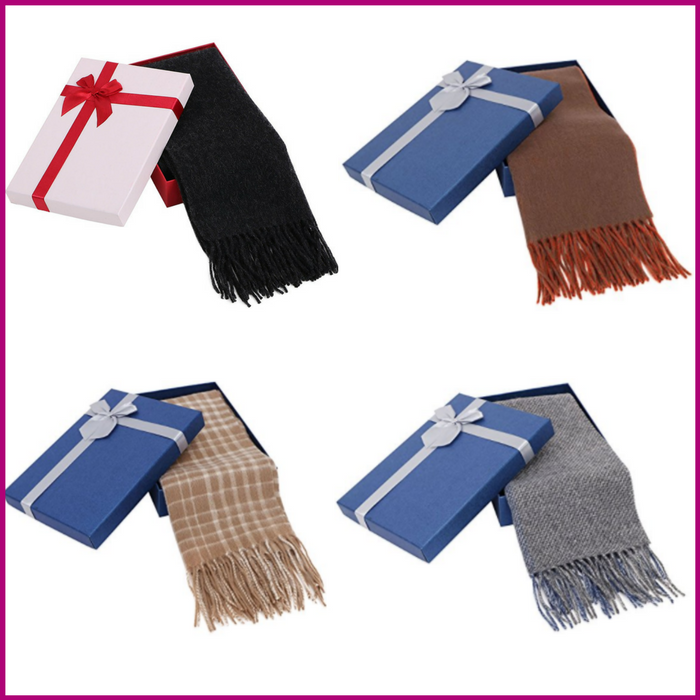 Presented in a beautiful gift box, this cashmere scarf is the perfect gift for any man or woman in your life.